CityLibraries is always open online. Are you researching for a school, university or work project? CityLibraries Townsville offers a range of online research materials to help you find what you are looking for. We also offer classes and programs, and a wide range of books to read; both print and online. See our resources below or ask library staff for assistance. Use the CityLibraries catalogue to search for books, eBooks, eAudiobooks, DVDs, magazines and weblinks across all CityLibraries Townsville libraries. Check your loans, renew, reserve and request online at My Library. Picture Townsville - explore Townsville's history through pictures. 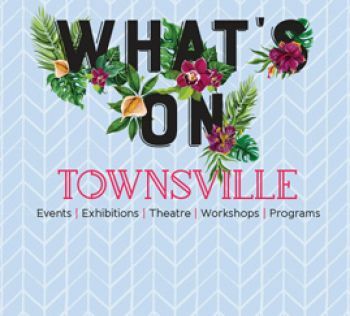 Townsville History Online - find out what's in the Local History collection. Borrow and download or stream eContent online via your browser or app – free access with your library card (individual data fees may apply). Download the latest eBook, Audiobook, comics and/or magazine. Free access to current information from authoritative sources - many with automatic citations, which are great for your reference list. Indigenous culture and history with the Norman B. Tindale collection and genealogy resources. Participate in major cultural events and bookclub gatherings. Want to keep up-to-date with the latest news and historical news? We have print newspapers, news online and on the big screens. For more information, read our newspaper information sheet. An internal information and research service largely for internal staff and councillors. Some resources are also available to the public. To find out more, read our corporate information sheet.